6. Enter search parameter to filter the result, i.e. 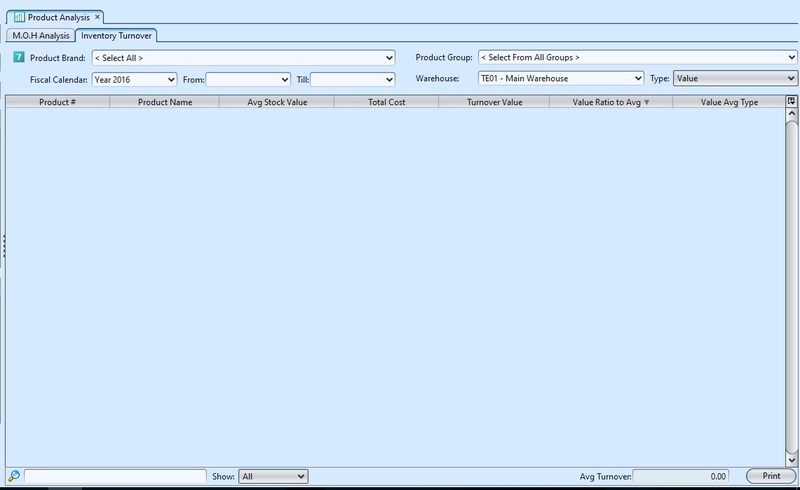 type in the product number in the search textfield box at the bottom of the screen. 4. 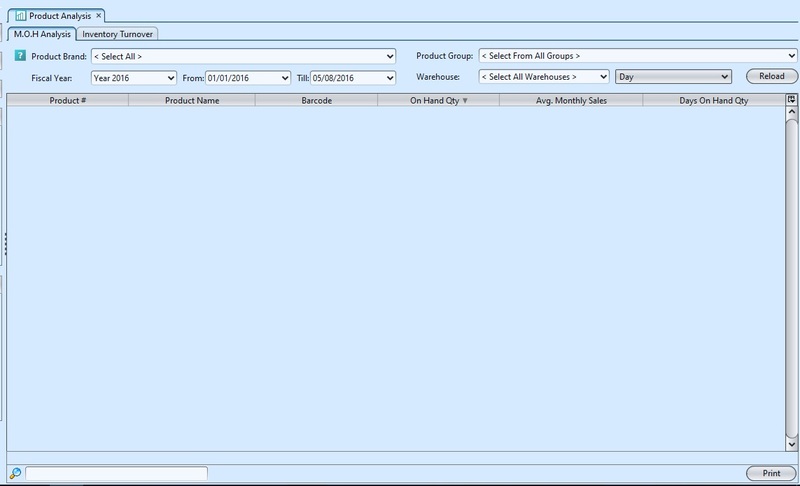 Select a warehouse from “Warehouse” drop-down list at the top of screen to filter the result. 1. For products’ average sales report, on “M.O.H Analysis” tab select a product brand from “Product Brand” drop-down list at the top of screen, user able to view all brands by choosing “Select All“. It will pull up the selected products’ average sales data. For products’ inventory turnover report, on “Inventory Turnover” tab select a product brand from “Product Brand” drop-down list at the top of screen, user able to view all brands by choosing “Select All“. It will pull up the selected products’ inventory turnover data.